As your real estate resource, the professionals of "The Largent Team" in Shasta and Sonoma Counties will provide you with cutting edge real estate information and service. As a top producing real estate team that closes hundreds of transaction per year, "The Largent Team" members have the knowledge and combined experience that will assist you consciously. 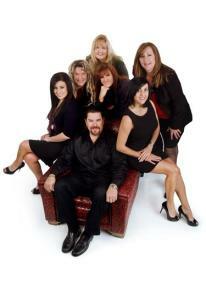 The Largent Team members work directly with Curt Largent, owner of Sheldon Largent Realty. We are a high producing team, but you can still count on individualized service. Your agent will handle every detail of your transaction. While our support staff assists the agent to assure detailed service, you won't be passed off to a less expericnced processor. Curt and his team process all types of real estate sales, but also represent several banks, including Bank of America , Chase, Fannie Mae and others in listing their foreclosure and short sale properties. This relationship offers us inside knowledge of what the banks are thinking, and we will share that knowledge with you! Our access to these properties allow us to inform buyers of them and often buyers are able to view these bank properties prior to availability to the public. Experience, cutting edge resources and tenacity is what allows "The Largent Team" the advantage in this competitive foreclosure market. Whether you are looking for a great buy on an investment, are a first time home buyer, are looking for your dream home or you just need to sell your existing home and move up, "The Largent Team" can help you with the all details from start to finish. Enjoy the video below to see the appeal of Redding! Sonoma County video coming soon. with all their real estate needs!